When would you like to stay in hotel SpringHill Suites Pittsburgh Bakery Square? 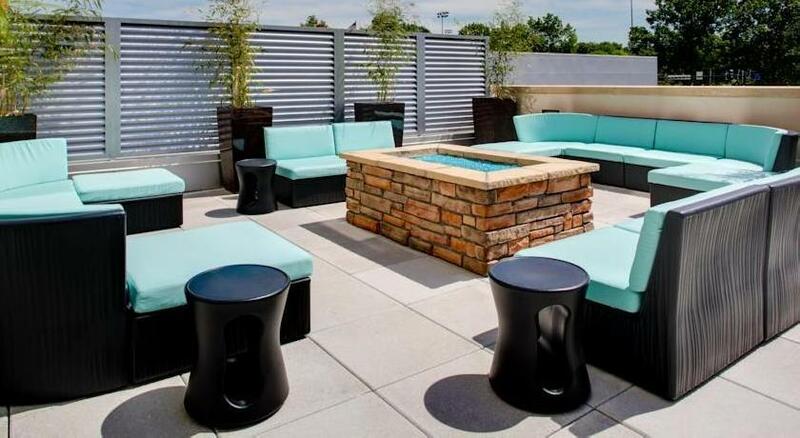 All suites at SpringHill Suites Pittsburgh Bakery square are decorated in aquatic colors and offer a separate living area with a work desk and a sofa bed. A microwave, refrigerator and coffee maker are included in each room. This hotel offers a spacious outdoor patio. Laundry facilities and an ATM cash machine are located on site. The Pittsburgh SpringHill Suites provides a daily hot breakfast. The Lobby Lounge is open Monday through Saturday and offers a full bar and a light dinner in the evening. The Pittsburgh Zoo and Bob O’Connor Golf Course are both within a 10-minute drive of this hotel. Kennywood Amusement Park is 6.8 miles away. We have included all charges and information provided to us by SpringHill Suites Pittsburgh Bakery Square. However, charges can vary, for example, based on length of stay or the room you book.